Read what will be showing on The Boss this week, Monday to Friday, July 9 - 13 on Telemundo. Irene realises that Alejandro and Patricia are lovers, and tells Antonia. At the club, Valentina uses Alberto to make Maximiliano jealous. The doctor tells Alejandro that all his family members must undergo DNA tests to determine whether they are compatible to donate bone marrow to Lucia. Lagarto and Julio interrogate Veronica about Gertrudis. Max tells Valentina that he saw Antonia and Alberto kissing, but she doesn’t believe him. In his new position as the administrator of El Chamuco Mine, Alejandro fires Ramon Izquierdo. Lucho is jealous when he sees Veronica with Alejandro. Antonia tries to force Ramon to tell her who was with him at the bar. Veronica tells Lucho that she doesn’t want to live without him. 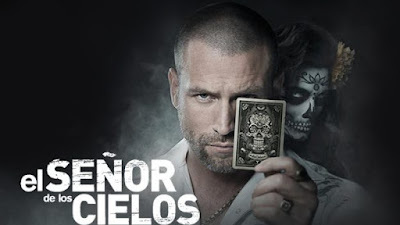 Premiere episodes of The Boss premiere on Telemundo from Mondays to Fridays at 18h00.